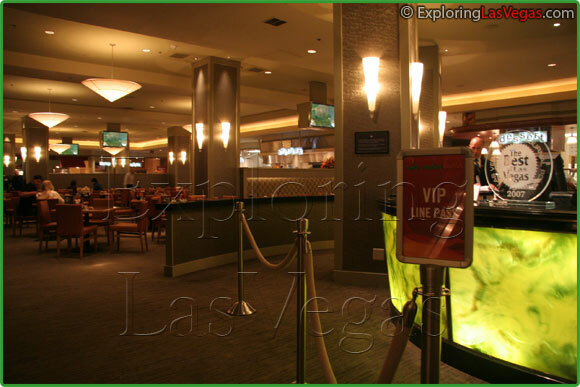 Located on the casino floor, inside the esteemed Planet Hollywood Hotel and casino is one of the best buffets in Las Vegas. 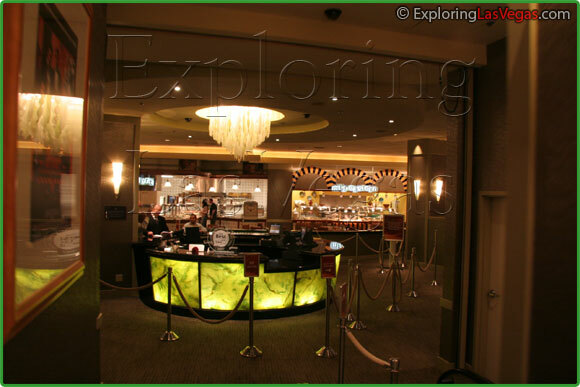 The Planet Hollywood Buffet is home to eight stations of cuisines from across the world. This buffet runs the entire day, through all three meals and on the weekends, the Spice Market offers Brunch. Daily hours are from 7:00 AM when breakfast starts until 10:00 PM when dinner comes to a close. On the weekends, the day begins with Brunch, which starts at 11:00 AM and ends at 3:00 PM. Some of the dining stations include Seafood, Italian, Asian, All American, Mediterranean, Soups & Salads, and Deserts. You will have the option of breakfast items like pastries, French toast, bacon, and eggs made to order. For lunch, the variety shines through with chilled shrimp cocktail, pizza, tempura shrimp, stir-fry vegetables, steak, roasted turkey, and tandori chicken. Dinner brings on such favorites as marinated lamb kabobs, stuffed pork loin, chicken Milanese, and mussels en brodo. Desserts for the sweet-lover include a variety of ice creams, cobblers, and cakes. With a wide variety at reasonable prices in a peaceful atmosphere, it is hard to go wrong when you choose The Spice Market Buffet. Planet hollywood has the best mediterranian food of Las Vegas buffets because it was Aladdin before with middle eastern theme, therefore they had sish kebap, chicken tikka, tabuli, baba ganoush etc and that was delicious, it is not that expensive comparing to a nice restaurant but not too cheap either. 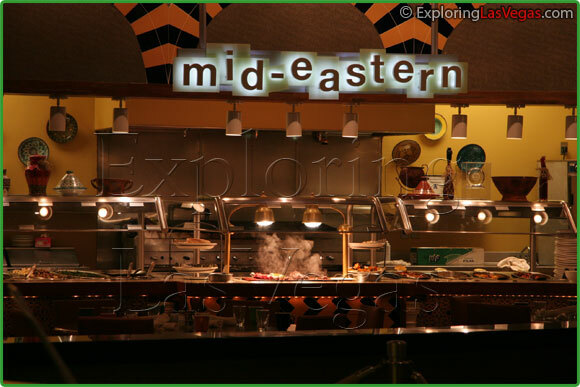 I would recommend Planet Hollywood's buffet if you are a mediterranian food lover. We were bringing my 85 year old mom there every month because she loved the tempura shrimp. They have not been there on Saturday nights anymore. Is there another night you serve the tempura shrimp. We love everything else though. Great sugar free desserts. Thanks. Your food is fantastic and i give you an A+ on your crepes. I really believe that the best choice here is in the American section, seriously the rest of the food is so poor and almost no one knows what food it is...so i just stay away from it, the seafood who wants to wait 25-30 minutes for a couple od crab legs just not worth it..
We had dinner here after a wedding. The food was great! I tried food I never had eaten before. It was fun trying food from different regions. So much was made to order. I never had to wait more than a few minutes for anything. The crepes were awesome. Absolutely worth the money. The buffet at planet hollywood is not to be missed! When we plan our trips to vegas we always put the buffet on our place to eat. It is a buffet but the food is good and well presented you feel like you are eating at the fancy restaurant. Delicious! !